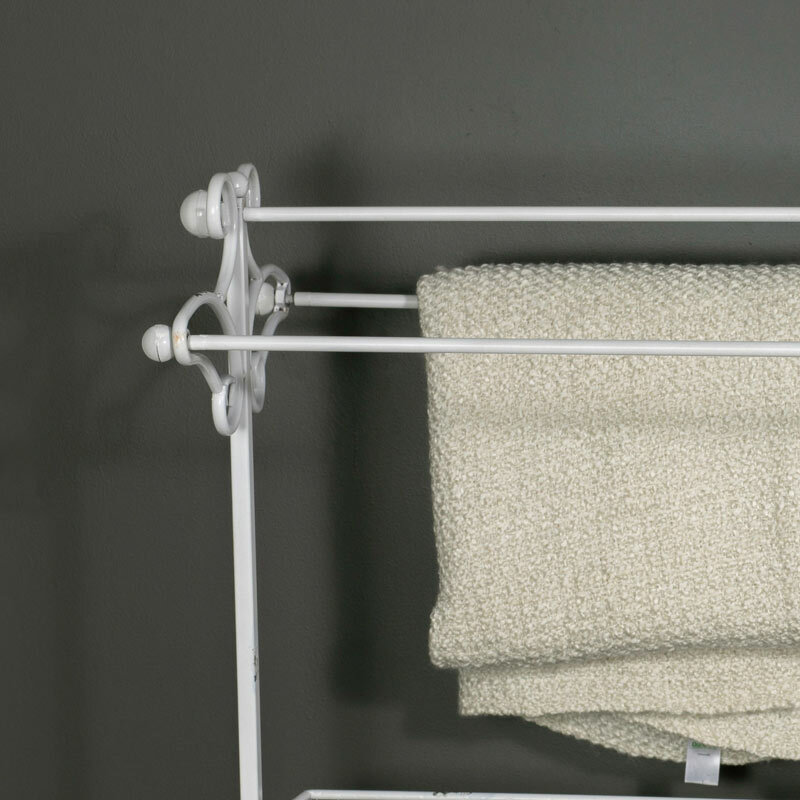 Keep your bathroom tidy with this freestanding towel rail. Gorgeous shabby chic design with 3 hanging rails and basket storage. 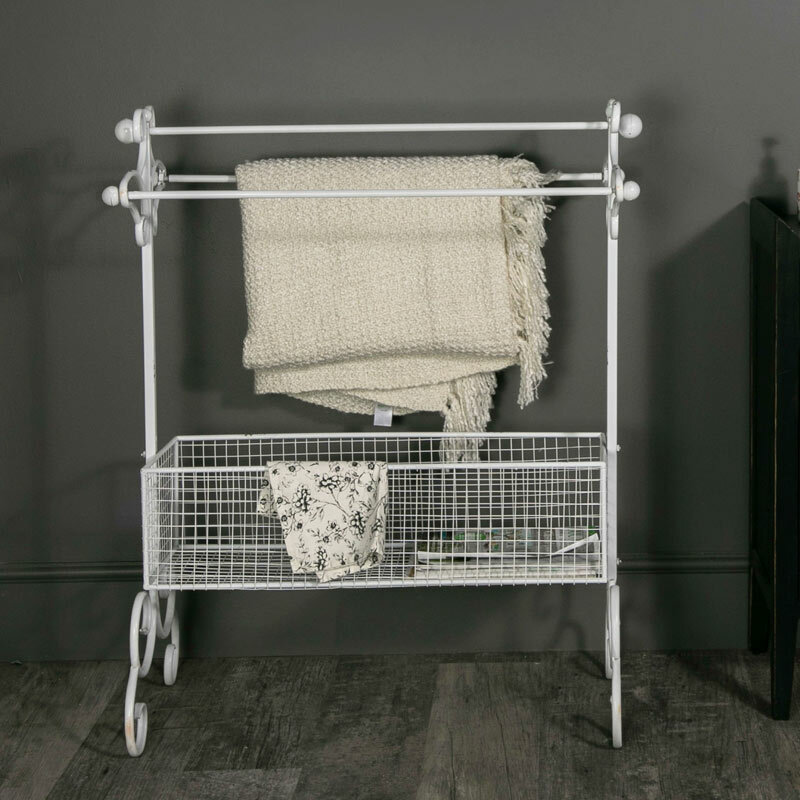 Stylish and practical, this stand comes with 3 rails for keeping towels tidy and a basket below that is ideal for storing extra towels or toiletries. Gorgeous shabby chic look with scrolled features and rectangular mesh basket. Keep your bathroom tidy with this freestanding towel rail. Gorgeous shabby chic design with 3 hanging rails and basket storage. Stylish and practical, this stand comes with 3 rails for keeping towels tidy and a basket below that is ideal for storing extra towels or toiletries. 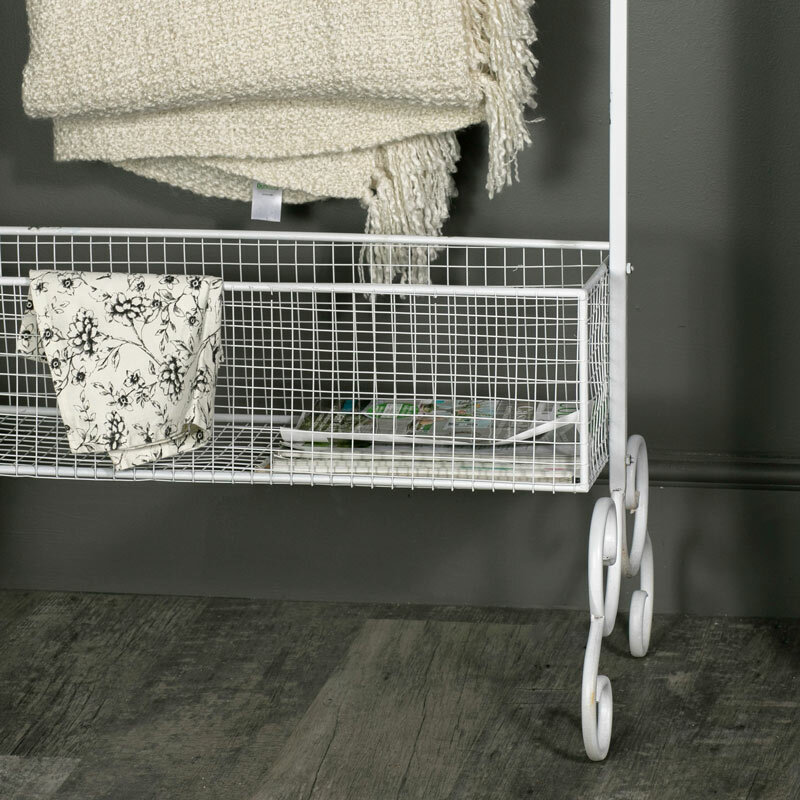 Gorgeous shabby chic look with scrolled features and rectangular mesh basket. Constructed with metal frame in white with a lightly distressed finish. The rail does require assembly with fixings included. We have an excellent choice in home storage with furniture and accessories for every room.